JACKSONVILLE, Fla. - It's been 18 years since Kamiyah Mobley was kidnapped just hours after her birth from a local hospital, and today, her family hopes they'll be reunited for the first time. 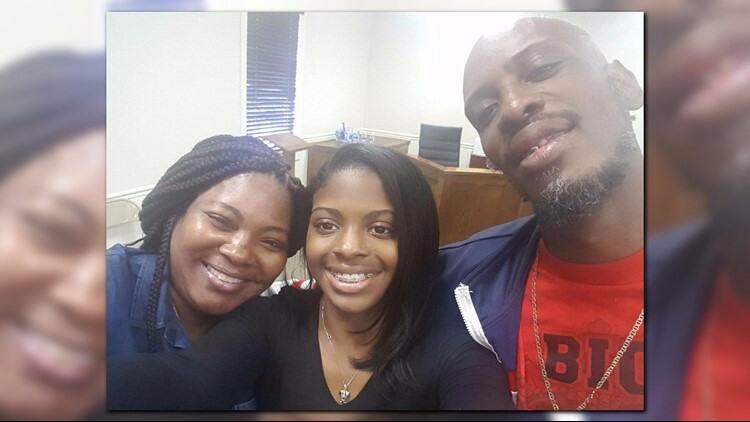 Kamiyah's biological father, Craig, and her biological mother Shanara, traveled up to Walterboro, South Carolina, about three hours north of Jacksonville, where Mobley was found. Aiken decided to stay behind and miss their reunion. Velma Aiken, Kamiyah's grandmother, decided to stay behind. "I don't want to move up on her too fast, it's been 18 years," Aiken said. "We don't want to lose her again," Aiken said. Mobley was taken from her mother, Shanara Mobley, back in 1998 when she was just eight hours old. A woman dressed up as a nurse entered her mother's room and said the newborn had a fever. She took the child from the room and disappeared without a trace. On Friday, authorities confirmed they found Mobley and arrested the suspect, Gloria Williams, 51. Williams has not been officially book into JSO, but in Walterboro she has been denied bond, and according to sources, if Williams is convicted she could be facing a life sentence. Craig left Jacksonville Saturday morning. He said it's hard to believe that he's finally going to be able to wrap his arms around his daughter for the first time. "I'm very excited," Craig said. "I'm going to give her a hug and a kiss." Aiken said that even though she is filled with hope about their reunion, she is also a little worried. She referred back to Williams' first court appearance in South Carolina since her arrest. Mobley was in the court room and told Williams that she was "praying for her." "She (was) crying," Aiken said. "I saw her telling her mother she loved her, but that was the mom she knew." Mobley grew up thinking Williams was her biological mother. Aiken said that if one thing came out of this tragic situation that it appears that Kamiyah, known as Alexis to all her friends in South Carolina, was raised right. "I'm going to be grandma whenever she want to come, but I want her to just do her," Aiken said.